Hyper 3.5 combines an over-spec mass of 6N copper and Teflon dielectric – the best-practice copper and sheathing – technologies for stunning result. 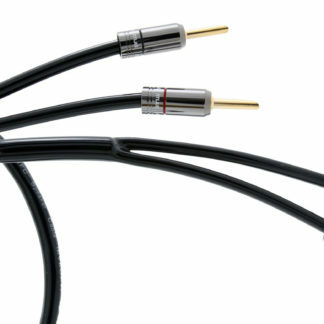 Atlas Cables is regularly asked by users of ‘single-brand’ systems from companies such as Naim and Linn if cables could improve their system without sacrificing its essential character. 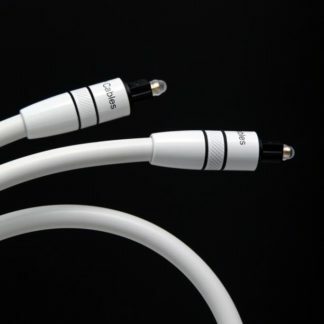 It’s relatively easy to deliver an improvement in a specific area, but more difficult to create a cable that improves on overall detail, accuracy and openness without losing the signature speed and character of these systems. 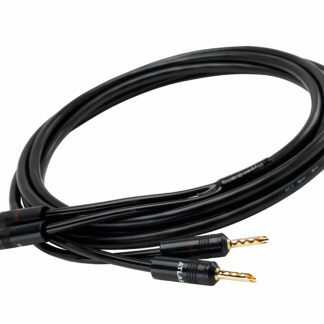 Hyper 3.5 is a sophisticated cable engineered to offer deliver such a level of transparency that it will not mar the qualities of high-end ‘single-brand’ systems. 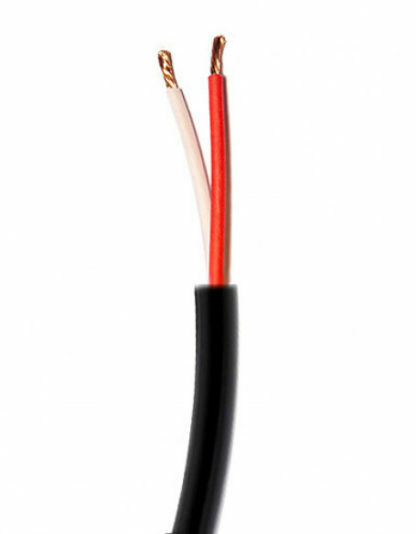 Hyper 3.5 speaker cables feature 72 0.25mm² very high purity 6-NINES (99.9999%) OFC (Oxygen Free Copper) 2.0mm² conductors encapsulated within an advanced PTFE (Teflon™) dielectric embedded with cotton and paper fillers into a Hyper gloss black sleve. 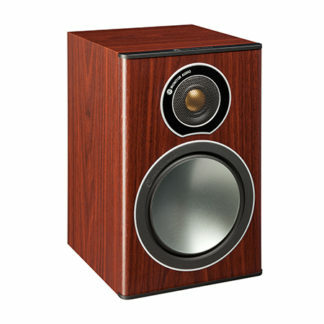 Its combination, most unusual at this price point, means Hyper 2.0 offers exceptional performance which is well suited to considerably more expensive systems than its price tag suggests. The 2.0mm diameter conductors on the Hyper 2.0 offer improved bass performance over the 1.5 version. 6-Nines copper conductors and high-efficiency PFTE dielectric allows Hyper to reveal the performance that your equipment is capable of: it’s fast, dynamic and it eschews the ruthlessly analytical character sometimes mistaken for additional ‘detail,’ but is actually exaggerated high frequencies, which is ultimately fatiguing. Default termination is Atlas’ Tin Cobalt finished metal Z plug. This Aluminium alloy Z plug body has the same non magnetic qualities of its very popular black ABS brother as well as it’s insulating qualities (plug body to plug body). Terminated, of course, with cold-weld but upgraded to Atlas’ impressive Transpose Modular Termination System. Transpose options include high quality OFC banana/BFA plugs or spades protected by silver plating instead of standard gold. 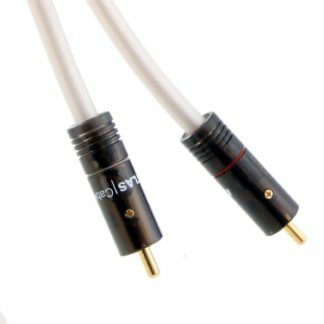 Atlas’ proprietary Tin Cobalt finished metal Z-plug is a low mass, self-cleaning, solder free construction banana/BFA plug which crimps onto your speaker cables under immense pressure. 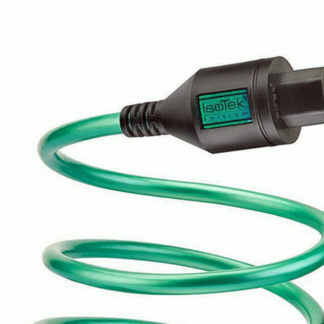 Hyper 3.5 is available ‘by the metre’ or in set lengths: pre-terminated with Atlas’ proprietary cold-weld high quality Tin Cobalt finished metal ‘Z-plug’ banana or spade connectors.